£13 Back In Stock Soon! 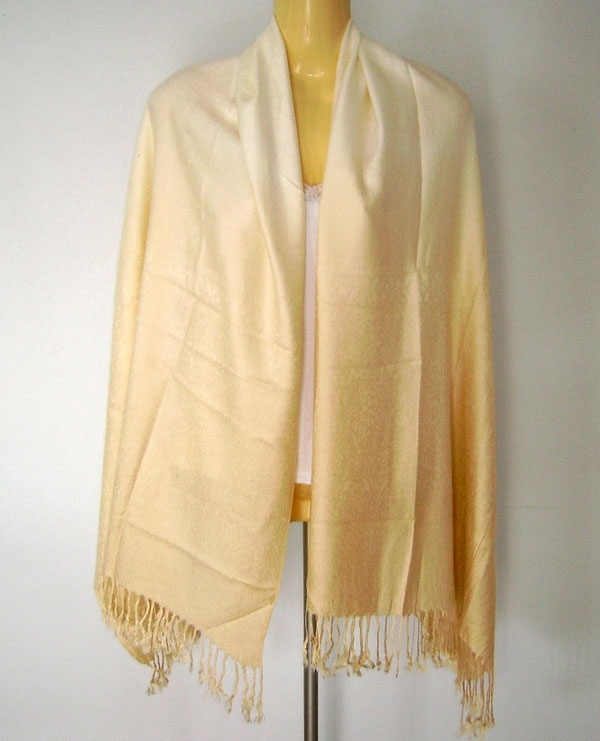 This light Gold pashmina shawl is made from viscose, giving it a strong sheen and a very silky smooth texture. Ideal for keeping warm in the winter as a scarf (noose wrap), or wearing as a sarong / belt in the warmer seasons as a great fashion accessory.